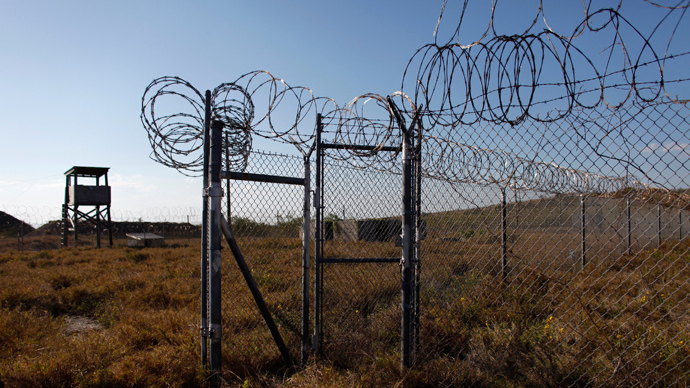 The US Southern Command (Southcom) has requested $49 million to build a new prison building at Guantanamo Bay, Cuba “for special detainees” as well as carry out other “necessary” renovations, US media reveal. 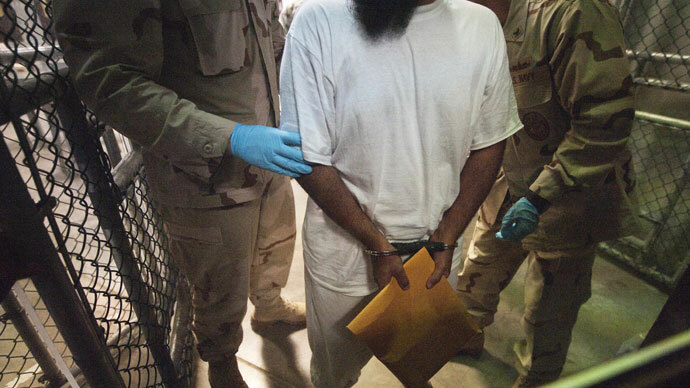 The proposed facility is an apparent replacement for Camp 7, which was constructed to hold 14 “high-value” detainees – including the self-described 9/11 attack architect Khalid Shaikh Mohammed – who had been in CIA custody, but were handed over to the military in 2006. Follow RT's in-depth day-by-day timeline on Gitmo hunger strike. The proposed prison comes on top of funds previously requested to upgrade the camp’s facilities, including a new dining hall, barracks for prison guards, a hospital, a “legal meeting complex” and a “communications network facility” to store data, the New York Times reports. Many of the facilities were in a state of disrepair as they were never intended to be used on a permanent basis, a Southcom spokesman told the Huffington Post. "Most of the buildings and infrastructure were built for a short-term mission," said Lt. Cmdr. Ron Flanders. "We got down there in 2002, but never in a million years would we still have this in 2013 with no end in sight." The additional request will balloon the overall cost to $195.7 million, significantly higher than the estimated $150-170 million that Southcom commander General John Kelly gave while providing congressional testimony on Wednesday, NYT reports. The special detention facility was also not included among the list of proposed constructions released by Southcom on Wednesday. All of the projects have already been approved by Kelly, though they are pending approval by the Pentagon, which is headed the new Secretary of Defense Chuck Hagel. With an operational budget of $177 million for 2013, Guantanamo is the United States most expensive prison, with US taxpayers already paying more than $1 million dollars for each of the camp’s 166 detainees per annum. 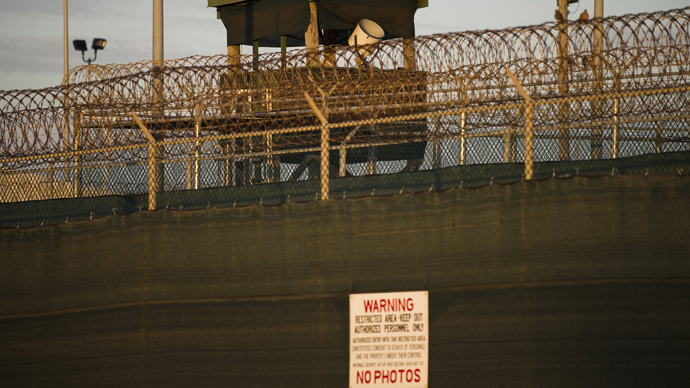 The proposed upgrades come in the midst of a hunger strike among Guantanamo detainees which has now entered its 45th day. “nonsense.”“They had great optimism that Guantanamo would be closed. They were devastated apparently ... when the president backed off, at least [that's] their perception, of closing the facility," John Kelly told the House Armed Services Committee in Washington. The officially-acknowledged number of Gitmo detainees on hunger strike reached 26 people on Friday, with eight receiving enteral feeds, Guantanamo Bay spokesman Capt. Robert Durand told RT. Former Guantanamo prison official Ret. Col. Morris Davis told RT that many of the hunger strikers had become disillusioned with Obama’s promise of hope and change. “But here you have a majority of the men at Guantanamo -- 86 of the 106 who have been cleared for transfer -- who have been in confinement now for more than a decade in some cases. So to them, with the hunger strike, they’re kind of out of sight out of mind and the only way to potentially call attention to it is to do something drastic like a hunger strike. So the numbers - DoD has said the numbers have gone from seven to 14 to 21, to I believe 25 is the last official number. But if you talk to some of the attorneys that have been down there, they say that’s a low-ball figure, that it’s probably three or four times that.” President Barack Obama’s first act as president was to sign an executive order to close the detention center at Guantanamo Bay, Cuba. “I have said repeatedly that I intend to close Guantanamo, and I will follow through on that,” Obama told CBS’ Steve Kroft in November 2008.